One might conjure up images of car racing and spring breaking when thinking about Daytona Beach, but this area has some wonderful outdoor recreation opportunities. 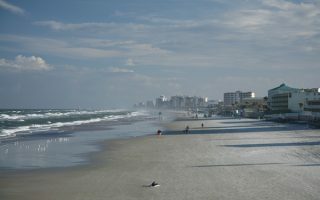 A city of 500,000 that attracts some 8 million visitors annually, Daytona Beach has branded its 23-mile packed sand beach as ‘the most famous in America’ — which from a runner’s perspective might be justifiably so! Add neighboring New Smyrna’s 17-mile beach and this area is beach running heaven. 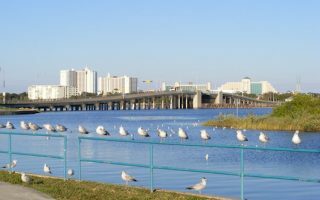 But there’s also an excellent variety for running in the Daytona Beach area, from scenic roads to a growing network of multi-use paths. 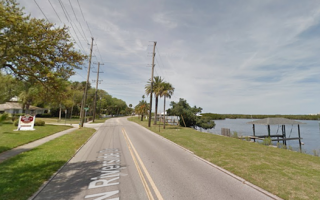 In addition to the beaches, there is nice running along the Halifax River right in Daytona Beach, and the Historic District and Riverside Drive in New Smyrna Beach. Another favorite road run is along choice sections of the famous ‘Ormond Scenic Loop‘. 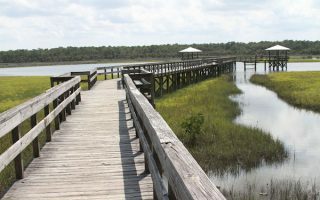 For trail running, try the spectacular path at Smyrna Dunes Park, or the nature trails at Doris Leper Spruce Creek Preserve. 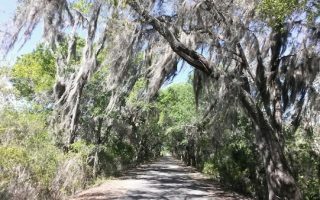 A bit further inland, there’s a large number of multi-use paths, highlighted by the 20-mile Spring-to-Spring trail, which passes through several parks and along Lake Monroe. Great weather is of course a main attraction in Florida. This area’s cooler than south Florida temperatures in winter make it a joy for running. In summer, best to go early to beat the heat, and keep an eye to the sky for the near daily thunderstorms. For transport, a car is generally needed to get around, especially to access some of the parks and paths further inland. One of the best beaches for running in the United States. 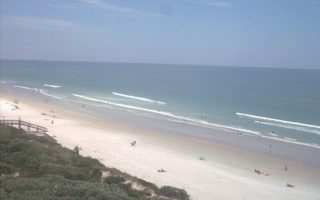 This wide beach featuring 23 miles of packed sand stretches from Ponce Inlet in the south to Ormond Beach in the north. There are boardwalks/nature trails in several beachfront parks. A very pretty run, exploring some of the historic sections of Daytona Beach and some waterfront roads along the Halifax River, and around City Island and Halifax Marina. One of the best options for road running in the area. 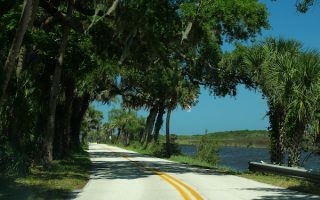 Popular 33-mile 'scenic loop (drive)' in the Ormond Beach area. We've annotated the map and described some of the best sections for running. There are ocean views, marsh views, and some lovely shaded sections with a nice canopy. Just across Ponce Inlet from Daytona Beach, New Smyrna Beach offers 17 miles of terrific beachfront running. It's generally flat and features firm, packed sand. 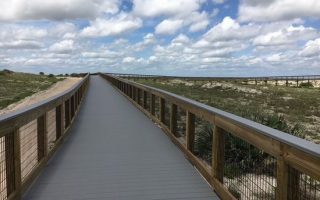 At the northern end, Smyrna Dunes Park has a wonderful 1.6 mile boardwalk trail. Wonderful park at the northern end of New Smyrna Beach, featuring a 1.6 mile boardwalk trail winding through through and over dunes. Ocean views, shaded canopy, sections of desert-like terrain. Longer run: Additional nature trails, New Smyrna Beach. As a variation from the beach, some excellent running options: Downtown historic district has pretty homes on tree-lined streets; Riverside Drive has 4 miles of running along the Indian River; and the 2-mile New Smyrna Beach Multi-Use Trail. A good off-road running option in the New Smyrna Beach area. It runs for 2.2 miles from West Pine Ave. at the edge of downtown, west to Sugar Mill Dr. One highlight of the trail is a 125-foot bridge over Turnbull Creek. Large preserve overlooking the Spruce Creek River with 3 miles of nature trails and ~10 miles of bike trails. Good opportunity for off-road & trail running. Mix of open & wooded, some water views. Located 6 miles west of New Smyrna Beach. 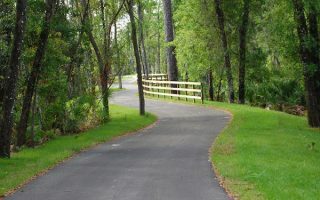 A long, paved multi-use trail, about 20 miles inland from Daytona Beach. When complete it will be 26 miles between DeLeon Springs State Park and Gemini Springs Park. We provide maps and descriptions of the three major sections comprising ~20 miles! There are lots of options to get in miles and miles of running along the area's extensive multi-use trail network. Most of them are inland. 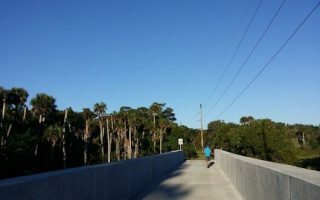 This is a list of some of our favorite trails, from Palm Coast to Edgewater, and west to Lake Monroe. Of course, the weather one of Florida’s main attractions. The Daytona Beach area is cooler in winter than further south in Florida, with daytime highs in the high 60s (20C) — wonderful for running! — a nighttime lows dipping into the low 50s (bring a layer!). There are occasional colder snaps. Summers are hot and humid, with high temperatures topping out near 90F (32C) and warm nights rarely dipping below 70F (21C). 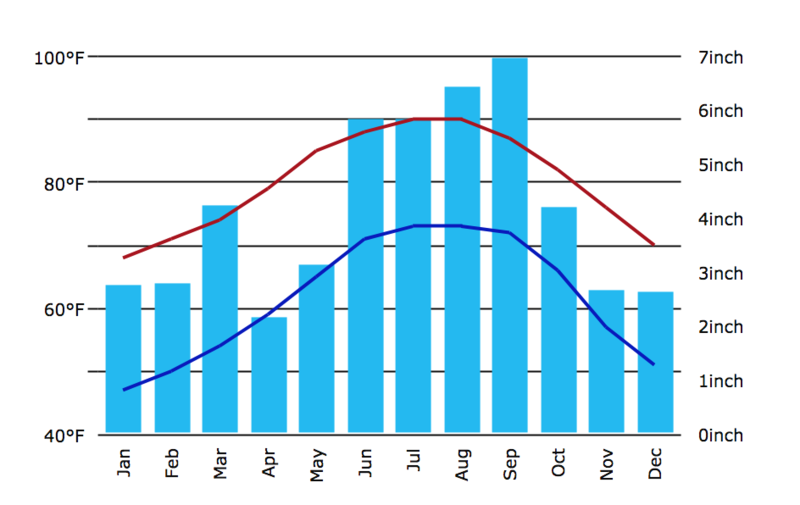 Winters are drier, but summers can be quite wet, generally in the form of thunderstorms. Always good to keep an eye to the sky during the afternoons. 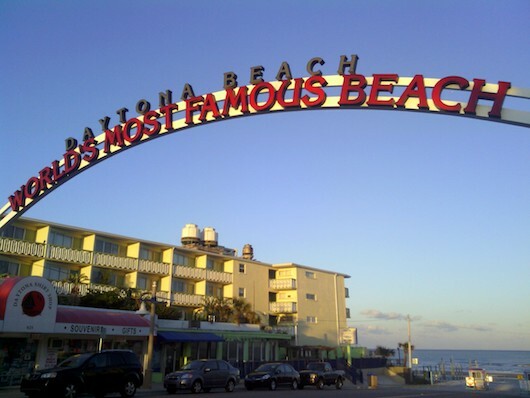 Some 8 million people visit this area annually, so there’s no shortage of hotels. For runners, try to stay within a mile or so of the beach, especially if you don’t have a car. Or, in one of the downtown area near some of our favorite waterside runs. A car is needed to get to some of the inland multi-use trails, which are as much as 20-30 miles west of town. There are two independent running stores in the area. Spikes Athletic Footwear is located in downtown Daytona Beach. Just south in Port Orange is The Running Elements. Great team of folks. Here’s their events calendar. Tomoka Marathon. March. Highly rated race, a Boston qualifier.Uses the course of the Ormond Scenic Loop (scenic drive).